When using miles or points to book travel, most programmes provide a degree of flexibility that cheap fares rarely provide. 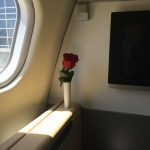 This is something that airlines haven’t (yet) enhanced away. 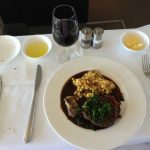 Although many programmes do charge change or redeposit fees, these can well be worth the relatively small cost in order to make substantial changes to an itinerary. For example, this weekend, I’m going to be heading over to the US to visit some friends in Seattle and then San Francisco for one of their birthday’s. 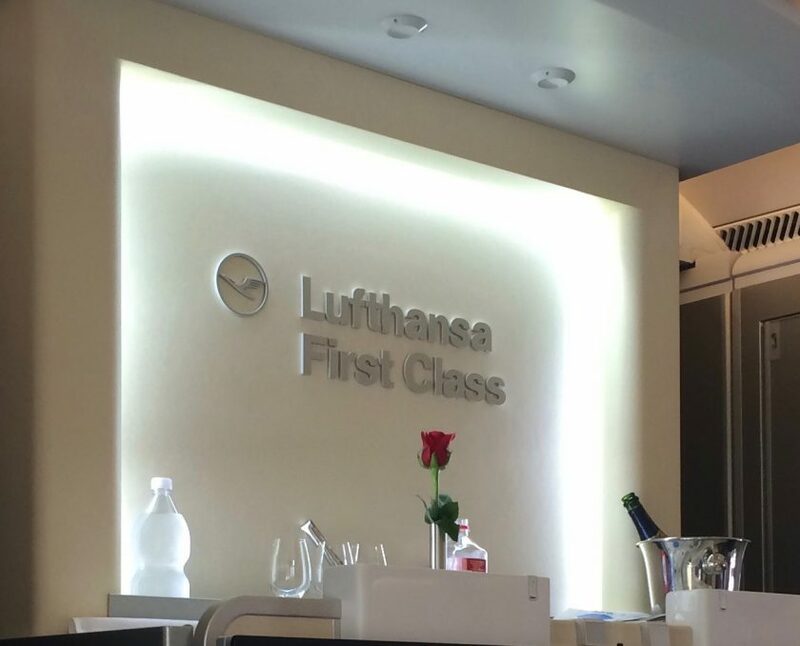 I used 85,000 Lufthansa ‘Miles and More’ points to travel in first class. 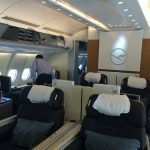 Lufthansa is a Star Alliance carrier however they are a little more restrictive than most airlines in the Star Alliance in releasing availability in their first class cabin. 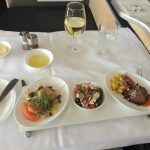 For starters, if you want to book first class more than two weeks from departure, you can only do so using their own ‘Miles and More’ programme. 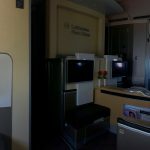 At two weeks to departure, if the cabin is still empty they will then release availability to other Star Alliance partners. Availability isn’t great, but their website easily allows you to check and see what is available on a certain route. For a random week next May, looking at Frankfurt to New York, there are flights available every day. That’s pretty good. 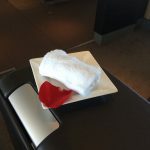 This is the single reason that I use Miles and More as my primary Star Alliance frequent flier programme. 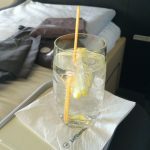 In short, it’s not great overall, especially as a UK-based traveller as there are fewer opportunities to earn compared to either British Airways or Virgin Atlantic. 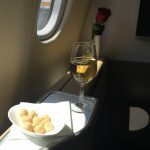 However you do get the ability to book first class a reasonable time ahead, making long-term planning possible. However, it’s not cheap, with a one-way award from Europe to North American weighing in at 85,000 miles plus as much as £400 in taxes and fuel surcharges, especially if travelling from London. 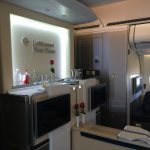 In addition, if you want to travel with Swiss in first class, who are part of the Lufthansa Group, you can only redeem miles if you’re a Senator level member (Gold) in their programme. This isn’t available to check online, you have to call in and they will let you know what availability there is. However, due to the fact there are significantly fewer members chasing those seats, availability is generally pretty good. 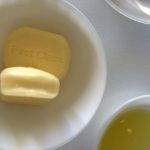 Both first class products are really excellent, being head and shoulders above British Airways product. 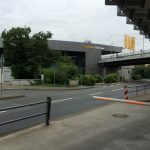 However the point of the article is that Lufthansa only charge €50 to change a ticket with miles. That’s a very reasonable sum. As I mentioned, I was originally due to travel mid-week, from London to Munich and then on to San Francisco with Lufthansa. However I decided to change my plans and go and visit a friend in Seattle first. If I had booked a discounted revenue ticket, there would likely have been a several hundred Euro penalty, plus potentially buying up to a new fare. Instead, I was able to bring forward the dates and add an extra flight up to Seattle for the €50 fee. That’s very good value, however it is dependent on their being reward availability. 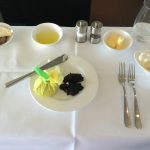 There will be a full review of the trip here later in the week, however here are a few photos of a previous trip in Lufthansa first class that shows some of the attention to detail that they offer on their product. Previous Post: In pictures. Tatio Geysers, Chile. Next Post: Sometimes it can be better to pay twice.